Sennheiser in collaboration with mTw comes with PC320, a gaming headset to make games as a real life experience. It provides vents to keeps your head cooled down. It has a frequency response of 15 – 23000 Hz and Impedance of 32 Ohm. It features rotating, CircleFlex™ technology ear cups which ear pads automatically adjust for ears. 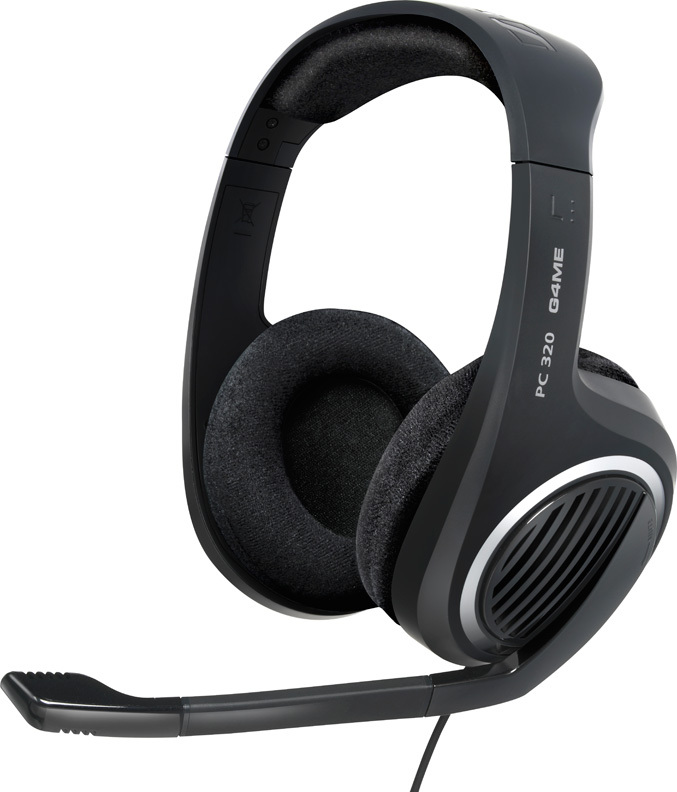 Other Features of PC320 headset includes a volume control adjustment in the right ear cup, a pro noise-canceling microphone which can be muted by raising the boom arm. The PC 320 gaming headset comes with a two-year international warranty and will be available in October 2011. Tags: Sennheiser headsets, Sennheiser headphones, Sennheiser headphones with mic, PC320, S PC320, Sennheiser PC320, Sennheiser PC320 features, Sennheiser PC320 specifications, Sennheiser PC320 review, Sennheiser PC320 details, Sennheiser PC320 availability, Sennheiser PC320 specs, Sennheiser PC320 images, Sennheiser PC320 pics, Sennheiser PC320 pictures, Sennheiser PC320 price.